The safari starts in safari club, where thermal clothing will be dressed up (socks, boots, overall and mittens). 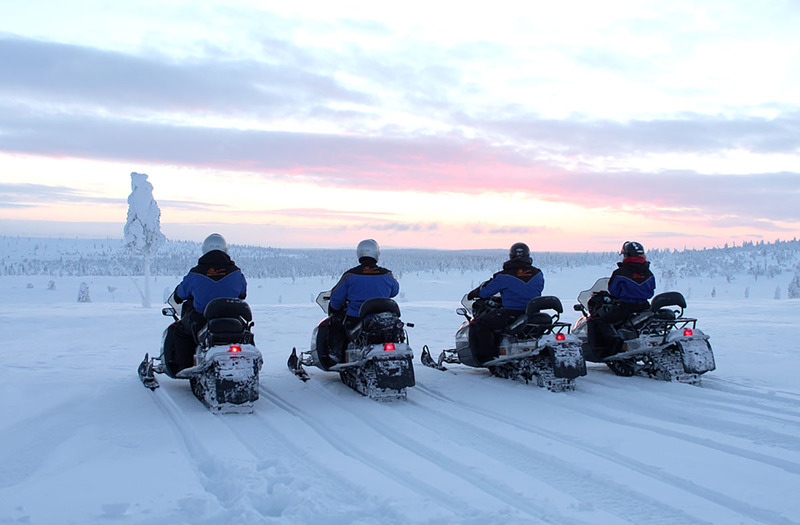 The guide will give the short instructions for driving a snowmobile. 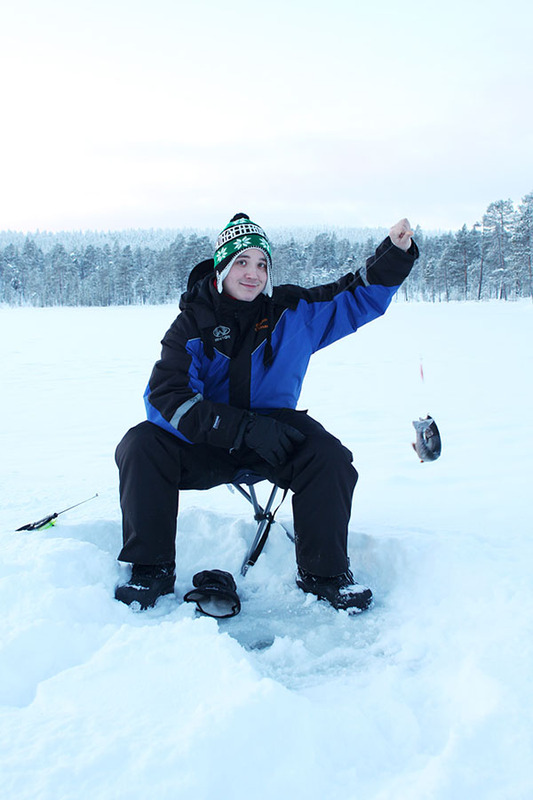 We drive to a private lake in the wilderness to try our luck at fishing the trouts on the frozen lake. Coffee break will be held in a warm wilderness cabin.